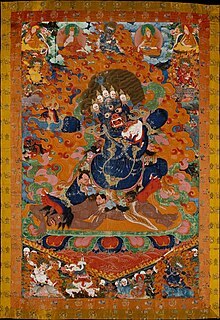 In Japan, the folkloric Yama, King of the Dead is seen as an Ogre-like demon and Lord of Death (whose consort is Datsue-ba) , but the figure is better known from Buddhist iconography as the magisterial-judgelike Emma – that shows Chinese adaptations from the Indian Yama. Yama is also called Emma (閻魔, “Yemma”), King Emma (閻魔王, Emma-ō), and Great King Emma (閻魔大王, Enma Dai-Ō). 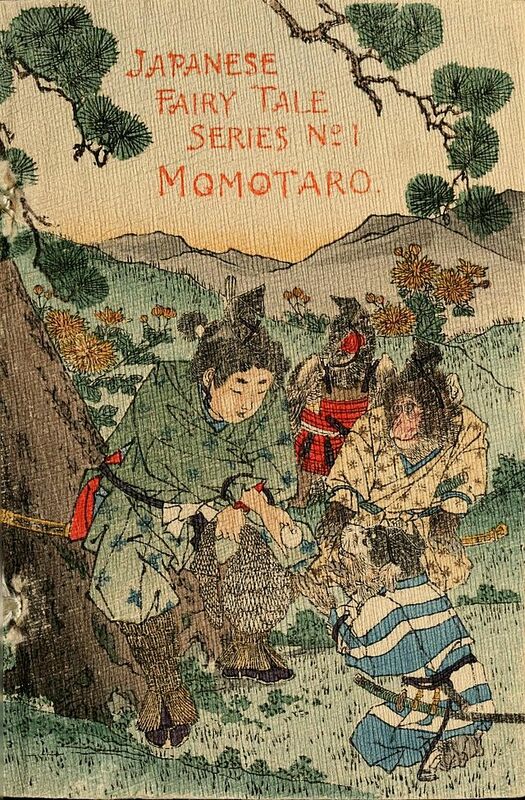 One sees from the later iconography (above) that Emma is depicted with a civil servant’s hat that is similar to the Chinese adapted notion of the Yan who is a judge, whereas the earlier Yama of the Sainokawara folktales are more akin to demons of the Underworld and therefore resemble most the Indo-Iranian / Saka and Tibetan versions. “Enma face” (閻魔顔 Enma-gao?) is an idiom used to describe someone with a fearsome face. “If you lie, Lord Enma will pull out your tongue” (嘘をつけばと閻魔さまに舌を抜かれる?) is a superstition often told to scare children into telling the truth. A Japanese kotowaza states “When borrowing, the face of a jizō; when repaying (a loan), the face of Enma” (借りる時の地蔵顔、返す時の閻魔顔?). Jizō is typically portrayed with a serene, happy expression whereas Enma is typically portrayed with a thunderous, furious expression. The kotowaza alludes to changes in people’s behaviour for selfish reasons depending on their circumstances. Saimyō-ji, a Shingi Shingon Buddhist temple in Mashiko, Tochigi, Tochigi Prefecture, Japan, is the only temple where one can see a statue of a laughing Enma. 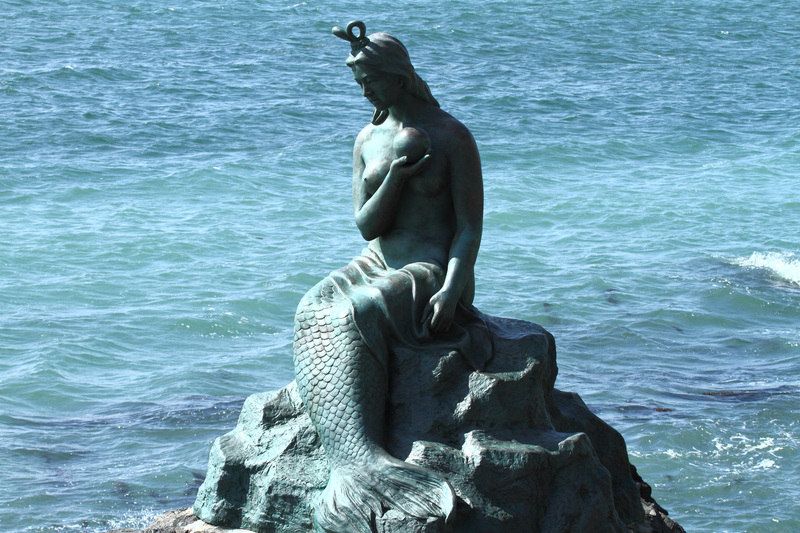 A parallel character in Iranian mythology and Zoroastrianism is known as Yima Xšaēta, who appears in the Avesta. The pronunciation “Yima” is peculiar to the Avestan dialect; in most Iranian dialects, including Old Persian, the name would have been “Yama”. In the Avesta, the emphasis is on Yima’s character as one of the first mortals and as a great king of men. Over time, *Yamaxšaita was transformed into Jamšēd or Jamshid, celebrated as the greatest of the early shahs of the world. By regular sound changes (y → j, and the loss of the final syllable) Avestan Yima became Middle Persian Jam, which was subsequently continued into New Persian. There are also a few functional parallels between the Ymir frost giant of the Finno-Ugric and Scandinavian peoples, as well as Avestan Yima and Sanskrit Yama, for instance, Yima was the son of Vivaŋhat, who in turn corresponds to the Vedic Vivasvat, “he who shines out”, a divinity of the Sun. They differ however on several crucial points. For instance, Sanskrit Yama is a primordial man (accompanied by Yami, primordial woman), while in both Zoroastrian scripture and tradition this role is fulfilled by Mashya and Mashyana. According to Persian scripture the Vendidad (2nd chap.) of the Avesta, Yima is a good shepherd charged by the omniscient Creator Ahura Mazda to rule over and nourish the earth, to see that the living things prosper, and to whom Ahura Mazda presents a golden seal and a dagger inlaid with gold. 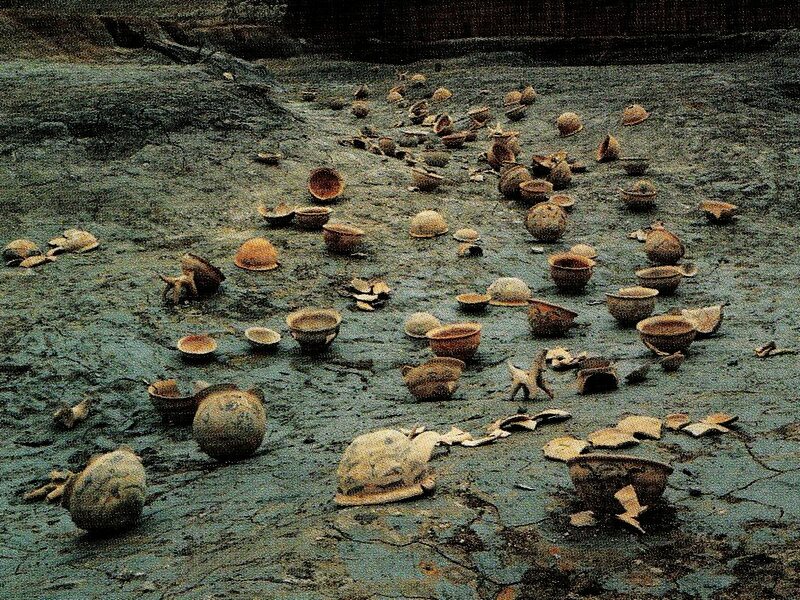 Yima rules as king for three hundred years, and soon the earth was full of men, flocks of birds and herds of animals. He deprived the daevas, who were demonic servants of the evil Ahriman, of wealth, herds and reputation during his reign. Good men, however, lived lives of plenty, and were neither sick nor aged. Father and son walked together, each appearing no older than fifteen. Ahura Mazda visits him once more, warning him of this overpopulation. But Yima pressing the golden seal against the earth and boring into it with the poniard, beeches Spenta Armaiti (one of the emanations of Ahura Mazda or one of Amesha Spentas, the seven “Bounteous Immortals” of the Zoroastrian tradition) to provide bountifully for mankind. Ahura Mazda advises Yima to construct a Vara (Avestan: enclosure) in the form of a multi-level cavern underground, two miles (3 km) long and two miles (3 km) wide. And Yima is then charged to populate the underground world with the fittest of men and women; and with two of every animal, bird and plant; and supply with food and water gathered the previous summer. Yima creates the Vara by crushing the earth with a stamp of his foot, and kneading it into shape as a potter does to clay. 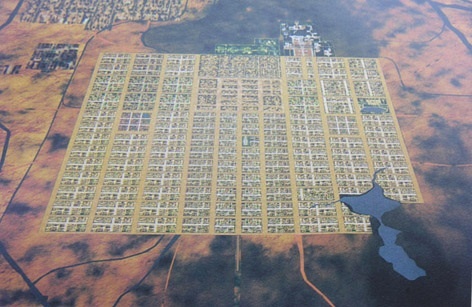 He creates streets and buildings, and brings nearly two thousand people to live therein. He creates artificial light, and finally seals the Vara with a golden ring. In a disputable etymology, W. Meid (1992) has linked the names Yama (reconstructed in Proto-Indo-European as *yemos) and the name of the primeval Norse frost giant Ymir, which can be reconstructed in Proto-Germanic as *umijaz or *jumijaz, in the latter case possibly deriving from PIE *ymyos, from the root yem “twin”. In his myth, however, Ymir is not a twin, and only shares with Yama the characteristics of being primeval and mortal. However, Ymir is a hermaphrodite and engenders the race of giants. Yama belongs to an early stratum of Vedic mythology. In Vedic tradition Yama was considered to have been the first mortal who died and espied the way to the celestial abodes, and in virtue of precedence he became the ruler of the departed. Yama (Sanskrit: यम), also known as Yamarāja (यमराज) in Nepal and India. In Hinduism, Yama was also the son of sun god Surya of Surya, the sun god & Usha. In Sanskrit, Yama’s name can be interpreted to mean “twin”, and in some myths, he is paired with a twin sister Yami or Yamuna. In the myths and Legends of Devi (by Bhattacharji, Sukumari, Sukumari ) they are the first pair of humans in the world. According to one story, Yama and Yami were twins born to the sun god, Surya and Consciousness or Samjna. The Hindu Yama presided over Naraka, the Hindu underworld. In Hinduism, Yama is the lokapala (“Guardian of the Directions”) of the south and an Aditya (one of the seven celestial deities). Three hymns (10, 14, and 35) in the 10th book of the Rig Veda are addressed to him. He has two dogs with four eyes and wide nostrils guarding the road to his abode (cf. 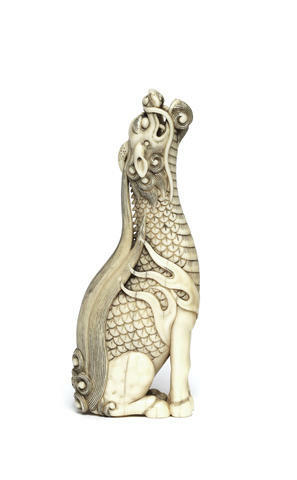 Indo-European hellhound). They are said to wander about among people as his messengers. In Hindu myth, there are many hells, and Yama, Lord of Justice, sends human beings after death for appropriate punishment. 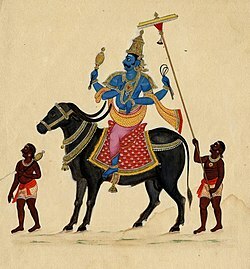 In art, he is depicted with green or red skin and red clothes and rides a water buffalo. He holds a loop of rope in his left hand with which he pulls the soul from the corpse. There is Yamadipati in Javanese culture, especially in wayang kulit shadow puppet shows. The word adipati means ruler or commander. When Hinduism first came to Java, Yama was still the same as Yama in Hindu myth. Later, as Islam replaced Hinduism as the majority religion of Java, Yama was demystified by Walisanga, who ruled at that time. So, in Javanese, Yama became a new character. He is the son of Sanghyang Ismaya and Dewi Sanggani. In the Wayang legend, Yamadipati married Dewi Mumpuni. Unfortunately, Dewi Mumpuni fell in love with Nagatatmala, son of Hyang Anantaboga, who rules the earth. Dewi Mumpuni eventually left Yamadipati, however. In Tibetan Buddhism, Shinje (Tibetan: གཤིན་རྗེ་, Gshin.rje) is both regarded with horror as the prime mover of the cycle of death and rebirth and revered as a guardian of spiritual practice. In the popular mandala of the Bhavacakra, all of the realms of life are depicted between the jaws or in the arms of a monstrous Shinje. Shinje is sometimes shown with a consort, Yami, and sometimes pursued by Yamantaka (“Yama-Death”). In one account of Yama and the Yamantaka, the Tibetan Yama was an enraged “holy man [who] meditated in a cave for 49 years, 11 months, and 29 days, until he was interrupted by two thieves who broke in with a stolen bull. 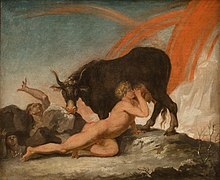 After beheading the bull in front of the hermit, they ignored his requests to be spared for but a few minutes and beheaded him as well. In his near-enlightened fury, this holy man became Yama, the god of Death, took the bull’s head for his own, and killed the two thieves, drinking their blood from cups made of their skulls. Still enraged, Yama decided to kill everyone in Tibet. The people of Tibet, fearing for their lives, prayed to the bodhisattva Manjushri, who took up their cause. He transformed himself into Yamantaka, similar to Yama but ten times more powerful and horrific. In their battle, everywhere Yama turned, he found infinite versions of himself. Manjushri as Yamantaka defeated Yama and turned him into a protector of Buddhism. He is generally considered a wrathful deity”. According to one of the more popular Tibetan myths, Yama, the lord of death lives on the moon. When there is a solar eclipse, the Tibetan people say that ‘Yama is eating the moon!’– source: The Tibetan Moon(TibetanLife.com). 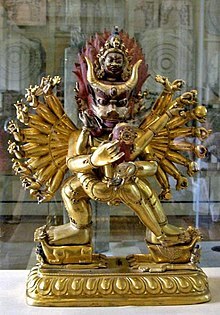 Yamantaka Vajrabhairav (British Museum) (above) is thus portrayed as a wrathful and conquering deity who put down the god of death. In Chinese mythology, Yan (Chinese: t: 閻, s: 阎, p: Yán) is the god of death and the ruler of Diyu. From Vedic Sanskrit Yama Rājā (यम राज, “King Yama”), he is also known as Ya-nluo-wang (t: 閻羅王, Yán-luó-wáng ). 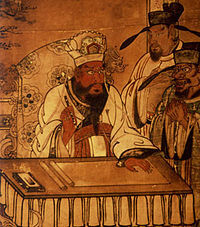 In both ancient and modern times, Yan is portrayed as a large man with a scowling red face, bulging eyes, and a long beard. He wears traditional robes and a judge’s cap or a crown which bears the character 王, “king.” He typically appears on Chinese hell money in the position reserved for political figures on regular currency. Yan-luo-wang is not only the ruler but also the Judge of the Underworld and passes judgment on all the dead. He always appears in a male form, and his minions include a judge who holds in his hands a brush and a book listing every soul and the allotted death date for every life. Ox-Head and Horse-Face, the fearsome guardians of hell, bring the newly dead, one by one, before Yan for judgement. Men or women with merit will be rewarded good future lives or even revival in their previous life. Men or women who committed misdeeds will be sentenced to torture or miserable future lives. 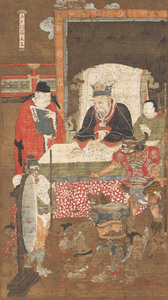 In some versions, Yan-luo-wang divides Diyu(Underworld) into eight, ten, or eighteen courts each ruled by a Yama King, such as King Chujiang, who rules the court reserved for thieves and murderers. The spirits of the dead, on being judged by Yan, are supposed to either pass through a term of enjoyment in a region midway between the earth and the heaven of the gods or to undergo their measure of punishment in the nether world. Neither location is permanent and after a time, they return to Earth in new bodies. “Yan” was sometimes considered to be a position in the celestial hierarchy, rather than an individual. There were said to be cases in which an honest mortal was rewarded the post of Yan and served as the judge and ruler of the underworld. “The Lord of Death and Leader of the 5th Court of FENG-DU, the Chinese Hell. The Chinese model of YAMA, having been at first King of the 1st Court of Hell, but Heaven charged him of excessive leniency. Too many souls were traversing the Golden Bridge to Heaven and it was becoming crowded. Chinese Taoism incorporated the influences of Indo-Iranian (?) Yama beliefs into its own cosmology, where Yama is known as one of the Ten Lords of the Nether Realm or Shi Dian Ming Wang (十殿冥王/明王) or Shi Dong Zhu (十洞主). The 10 Ming Wang are considered the manifestation of the 10 Directional Lords of Salvation for the Suffering Souls (十方救苦天尊化身), which they are the 10 manifestation of Lord Tai Yi 太乙救苦天尊 (the key person in the Salvation of Suffering in Taoism). “Nergal (arrow shooting god of II Kings 17:30) a Babylonian god and king of the Underworld “Lord of the great dwelling.” When ejected from heaven he invaded the underworld with fourteen demons. … Nergal is also the god of plague with Namtar (evil god, negative aspect of fate, disease bringer), his symbols are a sword and a lion’s head. From the contract tablets found by Rassam at Tel-Ibrahim it appears that the ancient name of Cuthah was Gudua or Kuta. Its ruins were 3,000 feet in circumference and 280 feet high. In it was a sanctuary dedicated to Ibrahim (Abraham). Both the city and its great temple, the later dedicated to Nergal, appear to date back to Sumerian times. Nergal (Heb. nereghal, a Babylonian deity of destruction and disaster, associated with the planet Mars (god of war and agriculture — See also Hercules, Ares -son of Zeus, Zivis, Zio, Tiwas, Tiw). 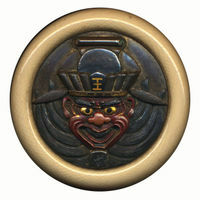 Yama is known as Yŏmna (염라) and Great King Yŏmna (염라대왕, Yŏmna Daewang). thank you. ancient pages is answering alot of my questions, and for that i am grateful.